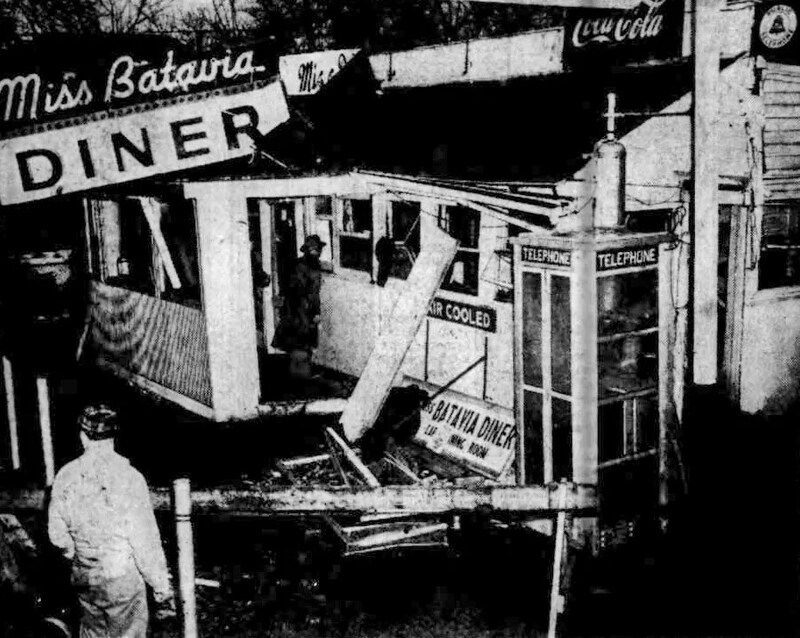 On Thursday, January 12, 1956, The Miss Batavia Diner, 556 Main Street, Batavia, NY, exploded from a natural gas leak in the basement, killing one. On a sidenote, unrelated to the explosion, it’s interesting that the diner had been mostly absorbed into a building by the point of its demise, with a large vestiblue and roof. Photos from the Buffalo Courier Press, Jan 13, 1956. 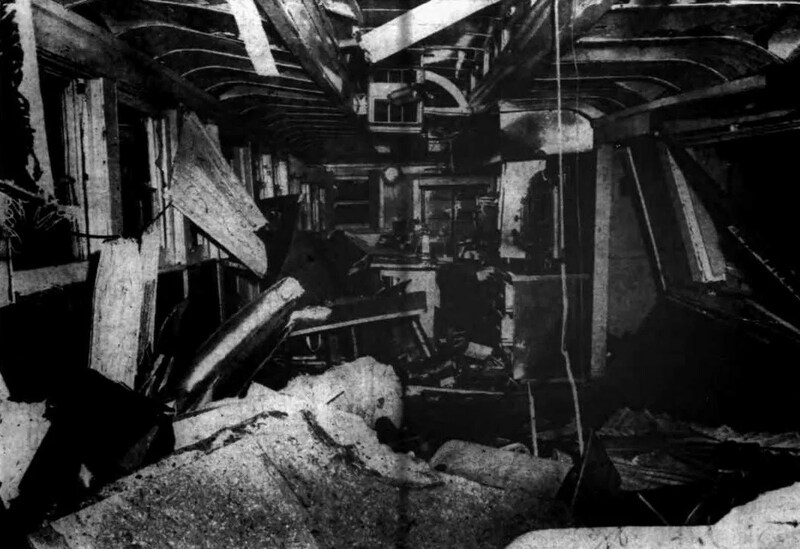 More on the explosion, with a different set of photos from another newspaper can be found here. It done blowed up real good!